Summer is the perfect time for s’mores, but sometimes it’s too hot for a fire so thankfully these S’mores Ice Cream Pops cool you down and beat that campfire heat! Who knew you could have a s’more with out a campfire? I love campfires, but summers in the south are hot! Sometimes too hot to sit outside by a fire. 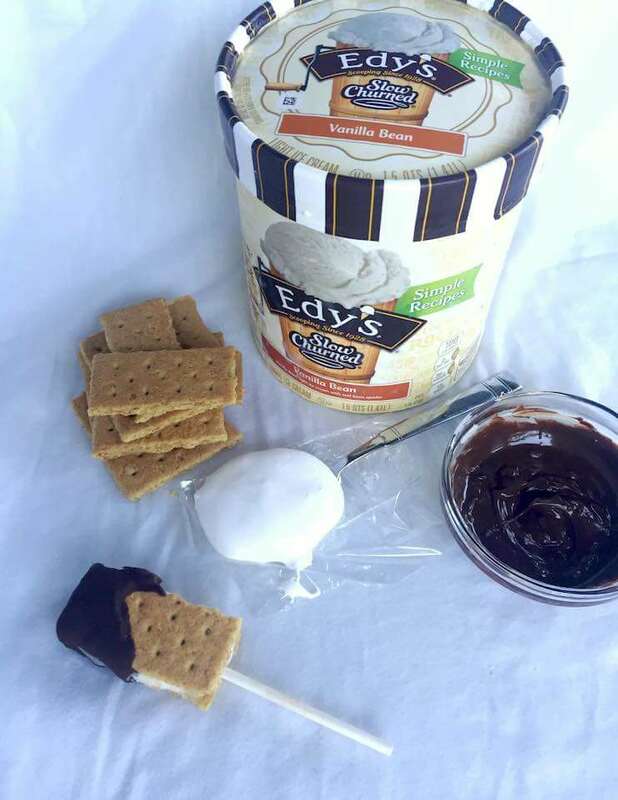 Instead of heating up, cool down with one of these S’mores Ice Cream Pops. 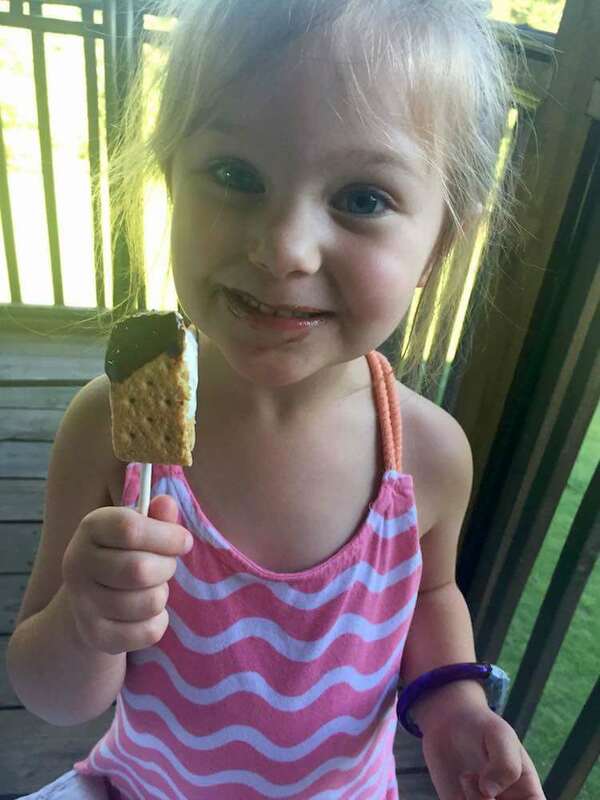 These delicious ice cream pops are made with only 5 ingredients: graham crackers, marshmallow cream, chocolate chips, a little coconut oil to make the chocolate hard and light ice cream. Specifically, Dreyer’s/Edy’s Simple Recipes French Vanilla Light Ice Cream! Just as my family loves spending holidays and summer weekends together at the lake, Dreyer’s has been scooping up togetherness since 1928. What I love about this amazing brand is how two entrepreneurs, Mr. Edy, a candy maker, and Mr. Dreyer, an ice cream maker, got together to make life that much sweeter for you and me. Here in Alabama, I’ve always known the brand as Edy’s but for my friends west of the Rockies, you’ll know it as Dreyer’s. Same great ice cream, just two different names because, really, isn’t life all about compromise? I had the opportunity back in May to speak at the Mom 2.0 Summit to other mompreneurs about a brand new line of products called Dreyer’s/Edy’s Slow Churned Simple Recipes Light Ice Cream. What I love about this line is that they use real ingredients–no artificial colors, flavors, high fructose corn syrup or GMO ingredients. 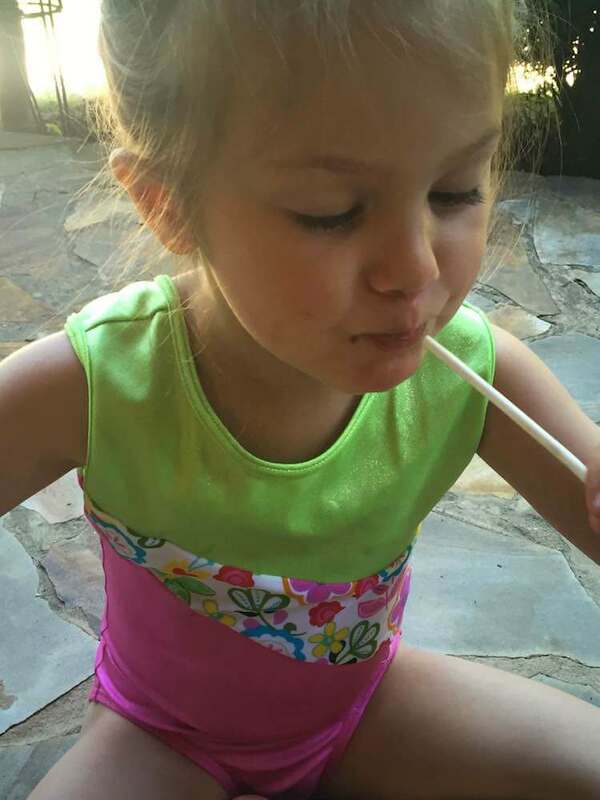 As a mom trying to cut back significantly on artificial colors and flavors, this is very important to me. I also am a fan of how the Slow Churned Simple Recipes light ice cream line uses real ingredients. 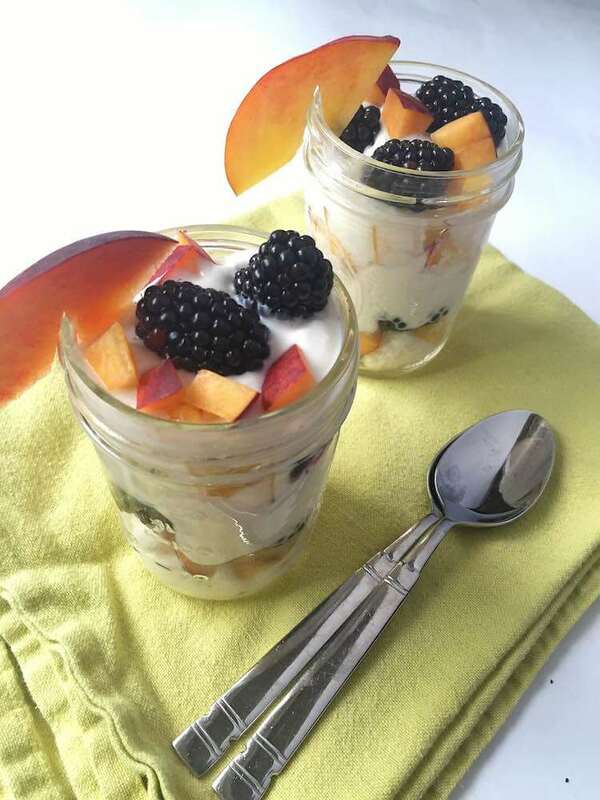 Their recipe uses fresh cream and milk that has no-RBST and on top of all of this, it has half the fat and one-third fewer calories, but all the rich and creamy taste of full-fat ice cream. 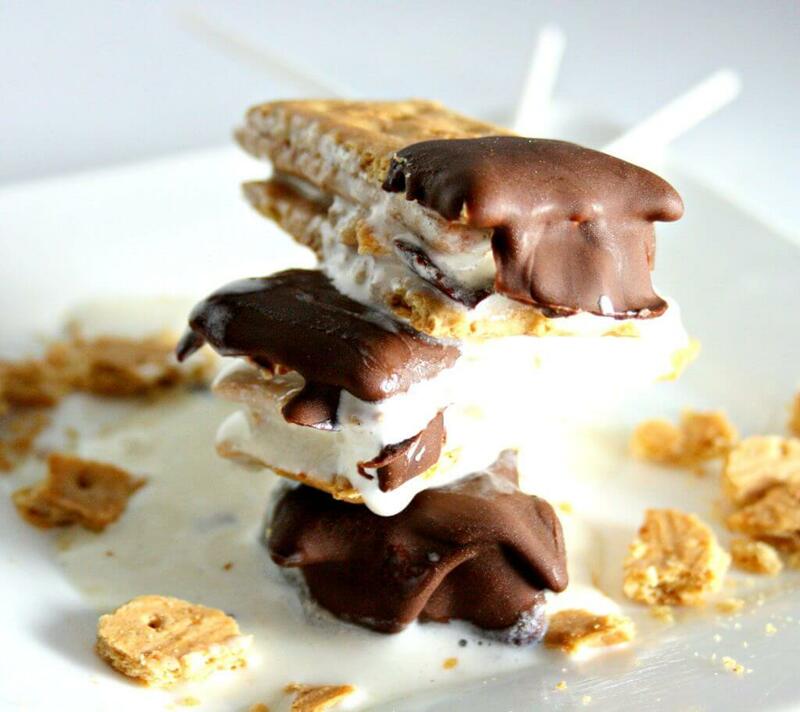 So to that I say, let’s stir in some marshmallow cream, layer it between graham crackers and dip it in chocolate!! Woohoo! Seriously though, I’m thankful for brands that are putting huge amounts of time and money into finding ways to create the most delicious product without all of the fake stuff. 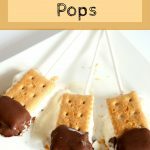 So whether you need a fun dessert for your 4th of July gathering, or your’re looking for a fun new twist on a popsicle, these S’mores Ice Cream Pops fit the bill! 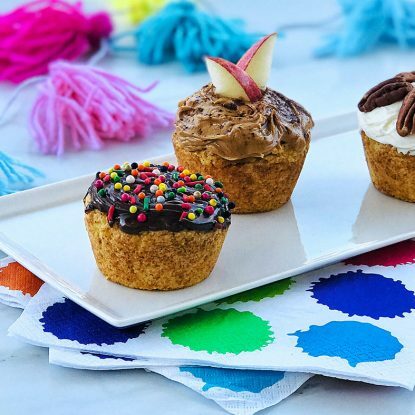 This bite sized desserts is the perfect summer treat for the whole family! As you can see in the pics, my girls loved them. I couldn’t even take a picture fast enough before they ate them up. One side note is that since these are ice cream pops, they melt quickly. The girls helped me assemble them and weren’t patient to give them the full freeze time. That’s a game changer in whether they hold their shape or melt out. If you don’t have time to wait for everything to freeze back, skip the stick and serve them as s’mores ice cream sandwiches. They are delicious either way! 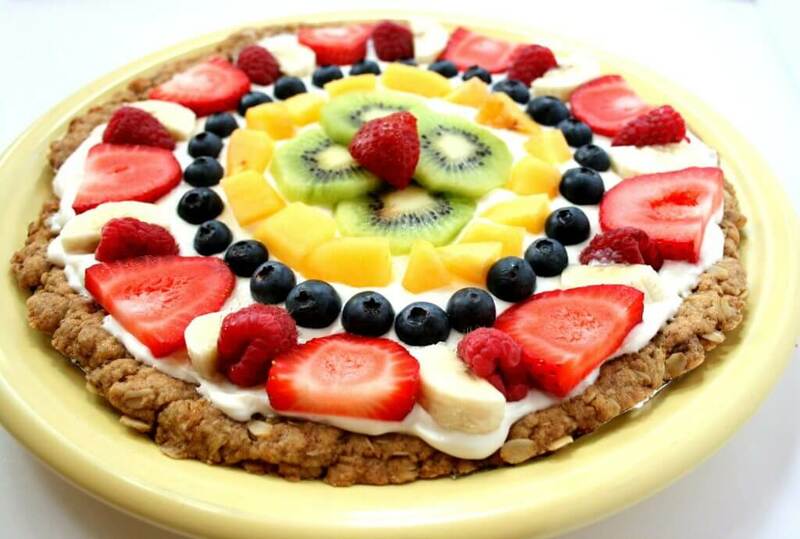 Check out more of my favorite summer desserts! Disclosure: I was compensated to create this recipe and share on my blog by Dreyer’s/Edy’s. All thoughts on the product are my own. I do not share products I don’t absolutely love!! Mix together vanilla ice cream and marshmallow cream in a bowl. Freeze 4 to 8 hours or until solid. Spoon out 1 tablespoon of ice cream and layer between two graham cracker quarters. 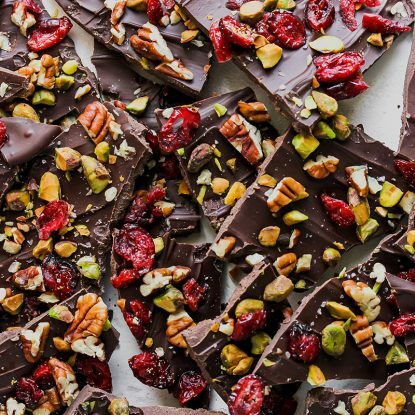 Melt chocolate chips in the microwave at medium heat stirring every 30 seconds until melted. Stir in coconut oil and heat 15 additional seconds or until coconut oil is melted. Dip top halves of the ice cream pops into the melted chocolate. 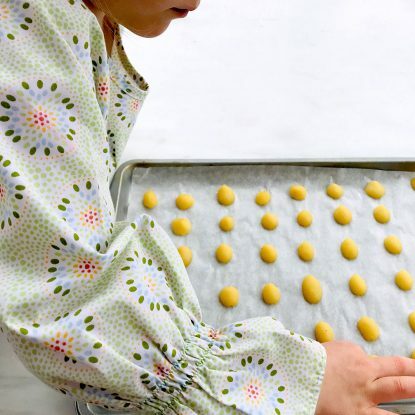 Place on a parchment lined plate or baking sheet and freeze 1 hour or until chocolate is firm. Enjoy immediately after removing from freezer. Summer is the perfect time for s'mores, but sometimes it's too hot for a fire. 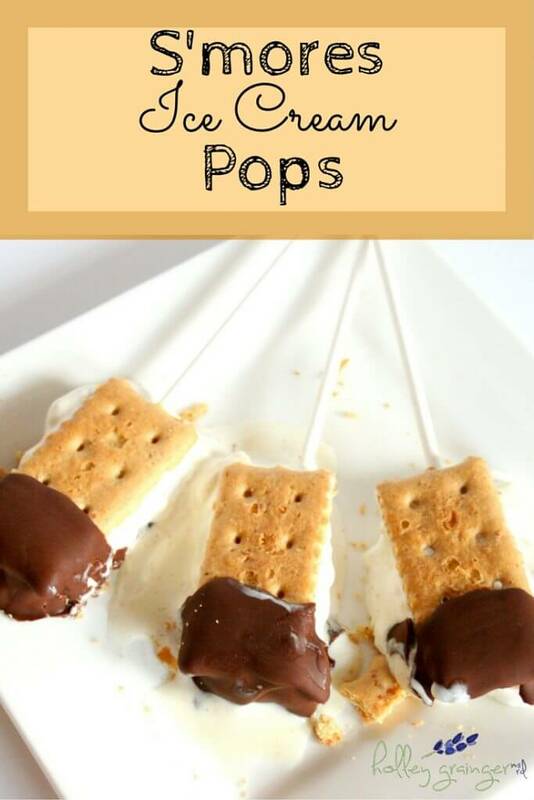 These S'more's Ice Cream Pops cool you down and beat that campfire heat! 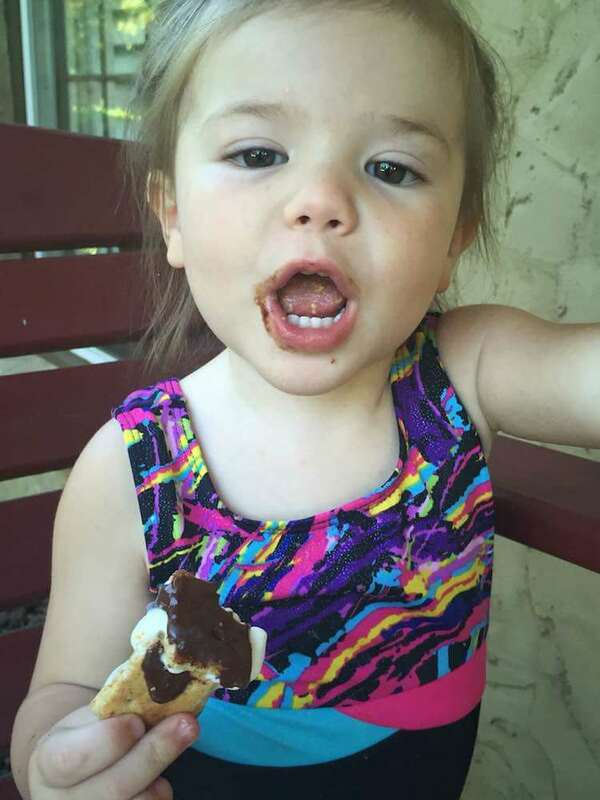 I love s’mores any way I can get them! Looks delish.